Sarroch refinery is about 20km south of Cagliari on the south-western coast of Sardinia. Owned by Saras, it has the highest production capacity of any Mediterranean refinery and a refining capacity of about 15 million tons per year, the equivalent of 15% of the total capacity of Italian refineries. The refinery has a high processing capacity and structural complexity. Liquefied petroleum gas (LPG), gasoline and diesel form more than 80% of the project’s output. Medium distillates, mainly diesel, make up about 40% of the output. The refinery’s production in 2009 was expected to be 13.8Mt to 14Mt. Major maintenance activities took place at the refinery during the first half of 2009. The refinery’s tank farm will also be expanded. The refinery is within easy reach of European and north African countries in the central western Mediterranean. The site, which is close to Polimeri Europa and Sasol Italy, also helps align refining operations with petrochemical production. Angelo Moratti decided the site would be a strategic location for a refinery in 1962. Construction of the refinery plants started in 1963 and an atmospheric distillation unit, three desulphurisation plants and a marine terminal were also installed. Refining work started in 1965. "A series of maintenance activities took place at the refinery during the first half of 2009." In 2006 the company planned a three-year investment programme of about EUR600m staring from 2006 to maximise operations at the refinery. The conversion capacity was improved in 2006, as planned. During the second half of 2006 development of two processing units started, enabling the refinery to comply with directives on environmental performance. In 2007 the refinery continued maintenance operations. In April 2008 the company concluded the maintenance cycle, including the visbreaking, alkylation and mild-hydrocracking units. A new gasoline desulphurisation unit was built in 2008. The unit was constructed to allow the refinery to meet the new EU specification of 10ppm sulphur in commercial gasoline. The construction was completed before the law came into effect from January 2009. The construction of a tail gas treatment and sulphur recovery plant was also completed in 2008. In 2000 a plant to gasify heavy refining distillates and generate heat and electricity simultaneously with the use of combined-cycle technology was built at the refinery. The 551MW integrated gasification combined cycle (IGCC) plant has been producing electricity from synthetic gas since September 2000. The refining cycle integrated with the IGCC plant enhances the conversion of raw materials into finished oil products and energy. Foster Wheeler secured an engineering and procurement contract from Saras in May 2006. The contract included work on a new hydro desulphurisation unit and two tail gas treatment units at the refinery. 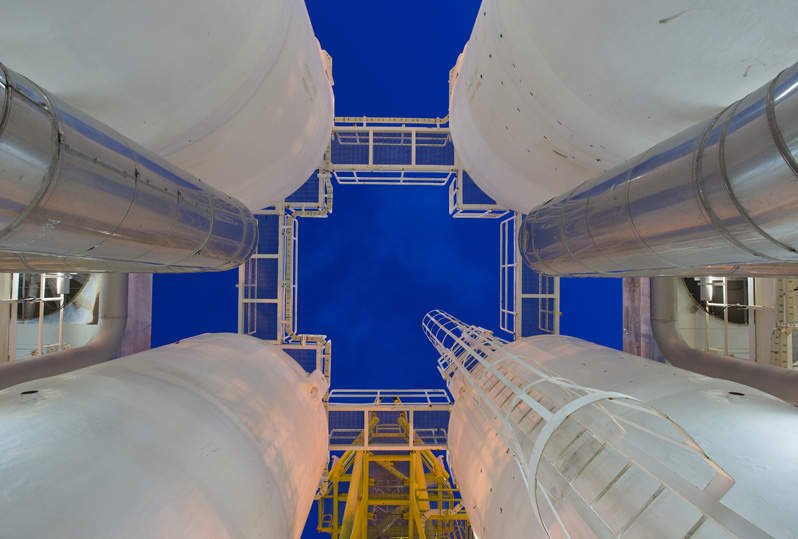 In March 2008 the engineering, procurement and construction management (EPCM) contract for renovating a mild hydrocracking unit at the refinery was awarded to Foster Wheeler. The contract was part of the refinery’s planned upgrade to enhance its unconventional crude processing capability. Processing facilities at Sarroch include three atmospheric distillation units, vacuum distillation, visbreaking, distillate cracking FCC, cat reforming, distillate hydrocracking, five hydrotreating units, alkylation, oxygenates and a BTX plant. "The refinery’s sulphur dioxide emissions during 2006-2008 fell by about 30%." The refinery’s sulphur dioxide emissions during 2006-2008 fell by approximately 30% in comparison with the four-year average recorded during 2000-2004. The improvement was due to technical and management initiatives taken by the company. The initiatives included equipping the refinery with advanced technology to make it more environmentally friendly. Saras’s future investment and development plan (2008-2011) for the refinery focuses on increasing conversion capacity and improving energy efficiency and performance. Saras plans to improve the refinery performance mainly through process optimisation and increasing throughput. COSMIN is an Italian company that manufactures and erects pressure equipment, such as heat exchangers, vessels, reactors, towers and cabled skids, for the power generation, oil and gas, and chemical industries.